I was needing to make something different for dinner. I’ve been bored with the ‘same old, same old…’ I wanted to make something we hadn’t had in awhile – I (we) needed a change. A dish that would require what I had on hand (there was a storm approaching) and something that could be made with the least amount of clean-up (again, the storm was approaching – which means power outages around here, thus no running water) so what to make? A skillet dinner. *1 large red bell pepper could be added too – I personally don’t care for red peppers (unless they’re roasted), so I don’t include them. Saute onion until translucent, add garlic and tomatoes – saute tomatoes until they have burst, about 6-8 minutes. 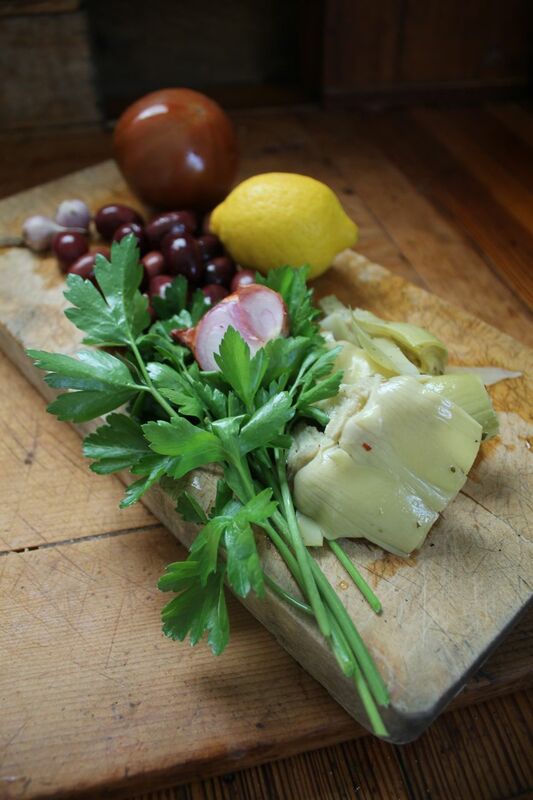 Stir in olives, chopped artichokes and beans. 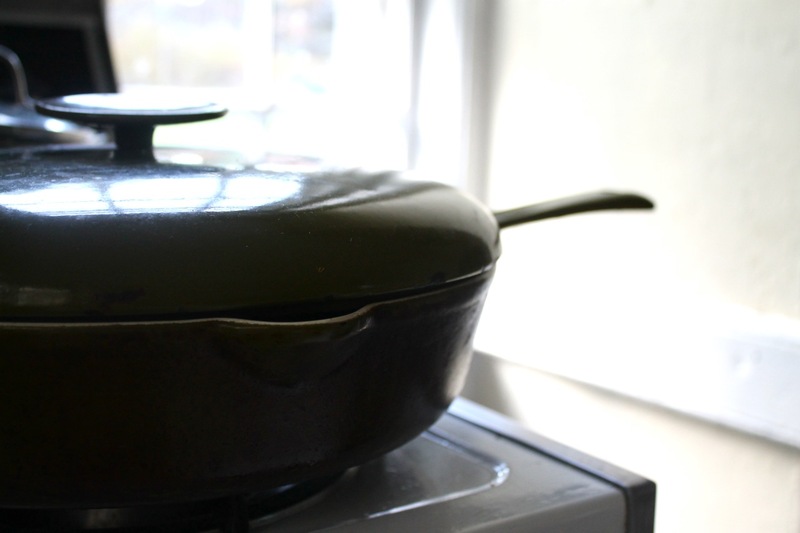 Pour liquid over – slowly – bring to a boil, then simmer for about 6 – 8 minutes…or until slightly reduced. Sprinkle fish with salt, preferably sea or kosher. Lay fish on vegetables in single layer. Top with fresh herb .Cover tightly, reduce heat, and steam until fish is cooked through and opaque, roughly, 10 – 15 minutes. Serve over rice and garnish with crumbled feta cheese, fresh herb, squeeze of lemon, a smidgen of salt and freshly ground pepper. Yum. Dinner in a skillet. Fresh ingredients. Candlelight. What’s not beautiful about that? What’s your favorite dinner in a skillet? 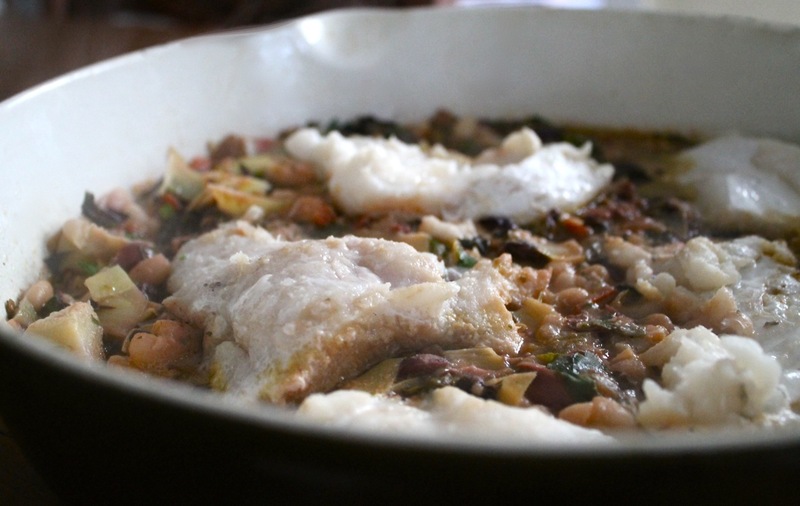 This entry was posted in cooking recipes, eating, everyday life, simplicity and tagged cooking fish, food, home, life, mediterranean food, photography by ripe red berries. Bookmark the permalink. Yum! Great recipe. I’ll be giving it a go. Wow, looks delicious. I made a skillet-esque dinner last night with red lentils and onions and lamb…ooh so good, especially in this weather! Thank you! I just love one dish dinners, don’t you? Yours sounds delicious. I never think to cook lamb – I’m not a meat eater, but my partner and son are, so maybe I should…Thank you for commenting and sharing. Looks good. Think I’ll try it later this week. Thanks Mim!! Let me know how it turns out. Ooh that sounds really good! It’s not really the kind of thing I usually think to make, but it sounds delicious. I get stuck in that same old, same old dinner rut too, so I will have try this! Great!! Enjoy! Thank you Dianne for commenting, it really is scrumptious and perfect for guests too. 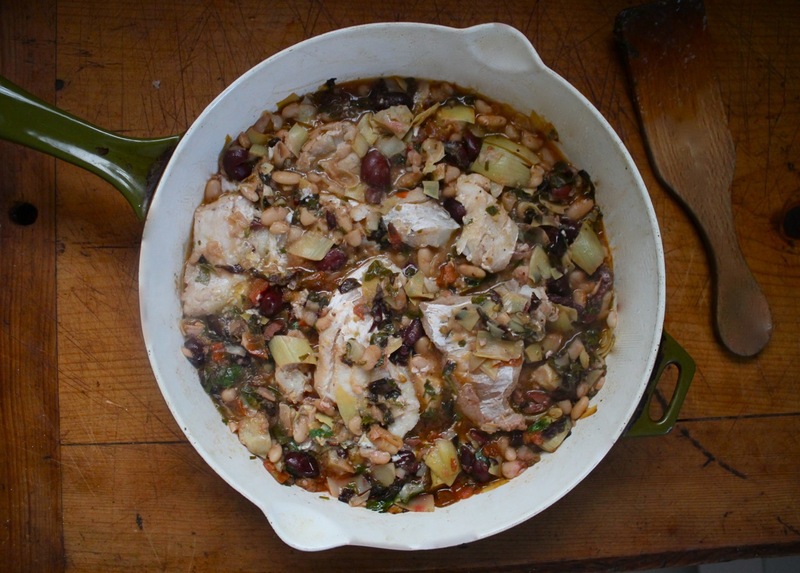 My favorites, olives, artichokes and beans, are in this dish and it is also a one pot dish, my kind of recipe. 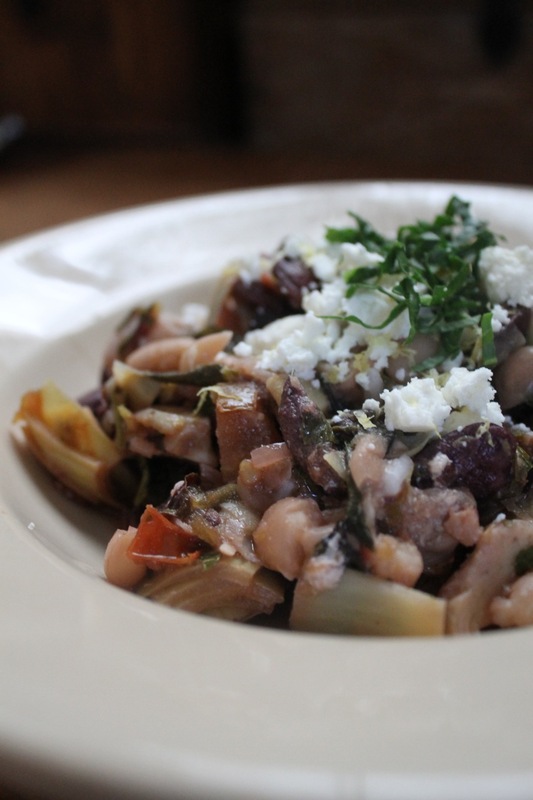 I agree – olives, artichokes and beans – can’t go wrong! And the best part of this recipe (besides the fact that it’s one pot) is its’ versatility. Enjoy Norma! 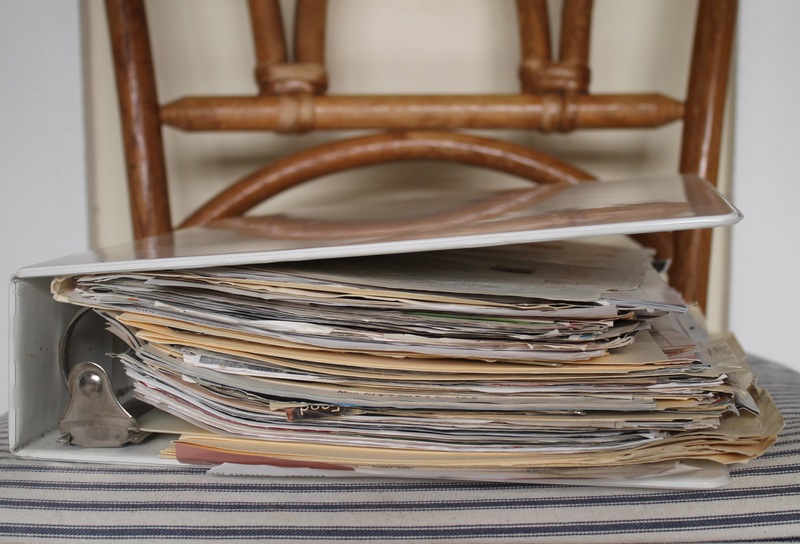 Hello again – this time I’m signed in as me, Ripe Red Berries…my last response to you I realized (after sending) I was signed in as my other blog – Designs Adrift – our business blog – oops! When I saw the title, I was hoping it would be about pork chops–but I’m going to substitute them into your recipe. I’ll just brown them first and go from there. I think it will be great. I hope the storm left you alone. Let all of us know. Sorry to disappoint…I don’t eat meat, though Mike and Finn do, so at some point I will include meat recipes. Good idea to switch up the recipe by adding pork chops. I love recipes with flexible ingredients. Yes, we’re all safe here in Maine. We were lucky. My family in NJ weren’t so lucky. Everyone is safe, but homes are in need of a bit of work now – to say the least…oh the power of mother nature! Thanks so much for asking!